← What’s the Single Best Diet for T2 Diabetics? What Is The Only Australian Plant Crop That Has Ever Been Commercially Developed as a Food? Posted on December 23, 2013 | Comments Off on What Is The Only Australian Plant Crop That Has Ever Been Commercially Developed as a Food? 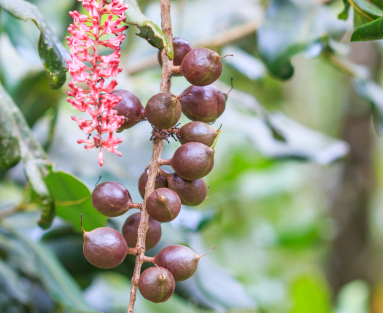 From a paleo perspective, a great thing about the macadamia nut is that it’s one of the few nuts with a good omega-6/omega-3 fatty acid ratio. In other words, it’s high in omega-3 and low in 6. This may have important cardiovascular health implications. 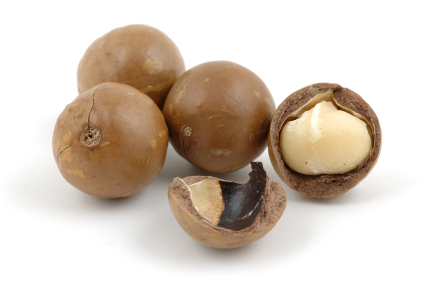 Macadamias are one of the nuts I recommend on my Paleobetic Diet. This entry was posted in Uncategorized and tagged Australia, David Mendosa, macadamia nuts, omega-3 fatty acids, omega-6/omega-3 fatty acid ratio, Paleobetic Diet. Bookmark the permalink.